OccuNomix Hi-Viz Apparel Headwear Provides Both Comfort And Visibility. 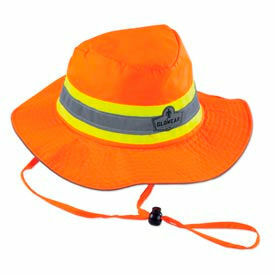 OccuNomix Hi-Vis Apparel Headwear comes in various styles to fit most weather conditions. The Hi-Viz Knitted Cap is a 100 percent acrylic cap with a silver reflective stripe for added safety. Available in hi-viz orange and hi-viz yellow. 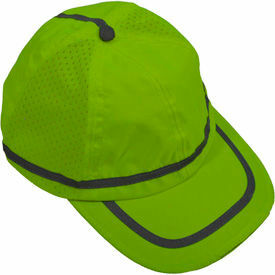 The Hi-Viz Mesh Ball Cap is made of a 100 percent polyester and has a hard bill with a cotton sweatband. Mesh side and back panels allow for a cooling air flow for increased comfort. Available in hi-viz yellow and hi-viz orange. The Hi-Viz Yellow Ranger Hat available in a Standard Mesh or a Cooling & Wicking Mesh is made of 100 percent polyester mesh and features a 2" silver reflective tape that is backed by orange fabric. Sizes vary. 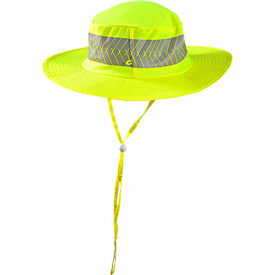 Petra Roc Hi-Visibility Headwear Protects The Wearer From Rain, Wind, Dust And Other Hazards During Outdoor Activities. GloWear® Hi Vis Headwear Is Used For Road Work, Construction Sites And More. Headwear is made using ANSI-certified polyester and reflector tape for maximum visibility. 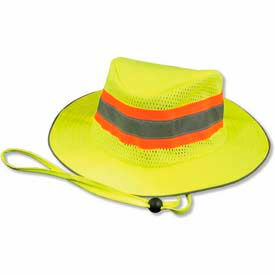 Ranger Hats feature a wide brim and vented mesh panels for maximum comfort when working in hot weather. Baseball Caps feature mesh venting and reflective trim. Both styles of hats are available with Insect Shield® treatment. Available in Orange or Lime.